The most spectacular pelagic diving on the planet! The Galapagos is one of those rare places where you can dive through hundreds of hammerhead sharks to find a whale shark cruising along. Toss in silky sharks, sea turtles, giant morays and schooling fish in their thousands… And that’s just the first dive at Darwin! 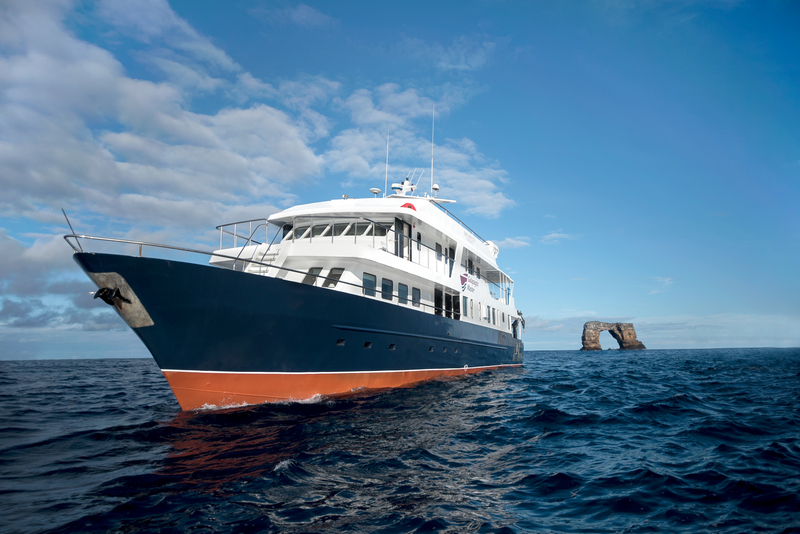 At Wolf Island you can expect huge Galapagos sharks and eagle rays up close while dives at Cabo Marshall will put you face to face with giant manta rays and inside a school of millions of black-striped salemas. Mola mola (sunfish) may be seen in the depths too. Macro life is plentiful. Black coral bushes shelter seahorses, blennies, nudibranchs, hawkfish and frogfish. Sea iguanas are a unique sight, along with speedy penguins and playful sea lions. This is but a mere taste of why divers consistently proclaim the Galapagos to have the healthiest marine life in the Pacific.